Township government is by far the most localized form of government providing easily assessable and efficient services to all township residents. Elected by township voters every four years, the Township Trustee performs many duties serving as the Executive of the Township. 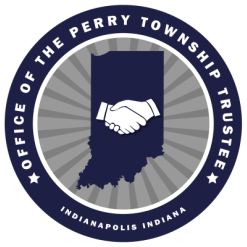 As Perry Township Trustee, I welcome you to our website. We are striving to make Perry Township a better place to live, work and raise your family. Our office will work diligently to provide you with the most efficient and convenient services available. We are here to serve you and look forward to assisting all citizens of Perry Township respectfully, fairly and honestly. Please call us with your questions or concerns at (317) 788-4815. Susie Day is a proven community leader. After serving two terms on the Indianapolis City-County Council representing the citizens of Perry Township and the southern area of Center Township, Susie was elected Perry Township Trustee in November 2014. Her confidence in her many years of experience in the government sector and her vast community involvement has prepared her to expedite resolutions for the concerns of her constituents within Perry Township, while administering Township Assistance for citizens in need throughout Perry Township. Susie has 25 years of experience in public service, including 5 years as a member of the Beech Grove City Council and two terms as an Indianapolis City-County Councilor. Susie served as a Perry Township Board member from 1997–2003, where she provided oversight to the budgets of the Perry Township Fire Department, the Perry Township Small Claims Court, and the Perry Township Trustee’s Office. Susie also provided guidance for the modernization of the Township’s Fire Department equipment and facilities. Susie is a lifelong resident of Perry Township. She attends Emmanuel Church and also represents Perry Township on the Marion County Fair Board where she serves as Secretary. She is an active member of the Perry Township GOP Club.